Britain is blessed with some of the world’s best sports events. On Saturday we flew racing fans to one them, the Grand National. 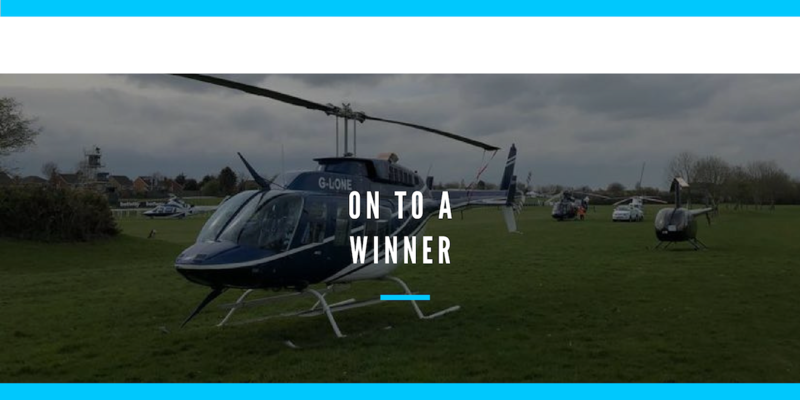 And what better way to arrive at one of the UK’s best-loved sporting occasions than by private helicopter! The National might have passed, but don’t worry, in 2019 there’s plenty more unmissable events to look forward to, including the Cricket World Cup, Wimbledon, and Golf’s British Open. If you fancy experiencing the excitement, action and glamour first-hand, well, be prepared to join hundreds of thousands of other sports fans. While all those spectators make for an unforgettable atmosphere, you’ll also have the hassle of queuing, trying to find a car parking space, not to mention the long journey home. By chartering a helicopter, you’ll be arriving in style, making the ultimate entrance, and ensuring you embark on the ultimate day out. 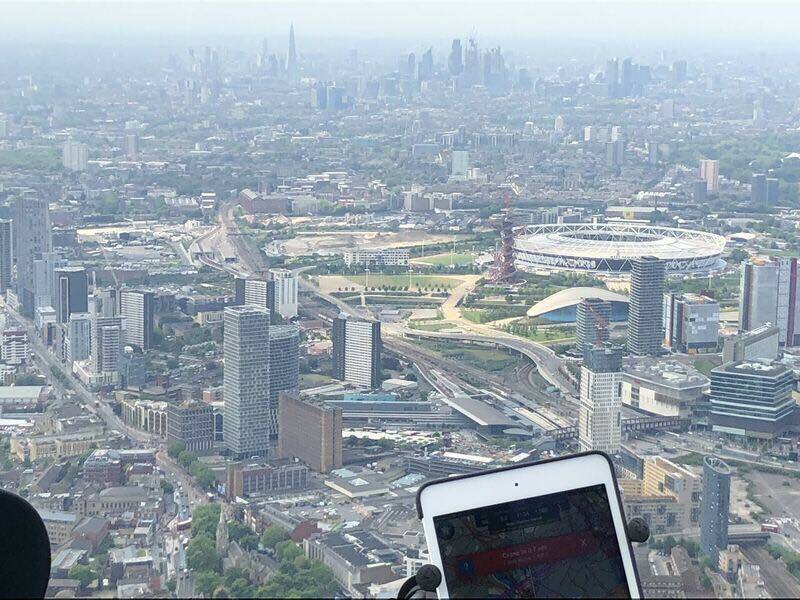 Why not fly with Central Helicopters to one of these UK sports events? Can Man City add the FA Cup to their season’s honours and keep the quadruple dream alive, or, will there be a sting in the tail as the Hornets, Watford, take the biggest cup prize in English football? The Cricket World Cup returns to England, and it’s been quite a while since the English one-day team had such a good shot at the title. Along with the likes of Ben Stokes and Jos Buttler, this England team has plenty of star quality which could make the difference – although India and Australia might have something to say about that. Wimbledon is still one of the top events on the sporting calendar. The romance, glamour and style of Wimbledon is legendary, and still make it the most exclusive tennis competition anywhere. What better way to get there than by private helicopter? You can be flown to within just a few miles of the famous All England Lawn Tennis Club. Nothing is quite as glamorous and thrilling as F1. You’ll be joining 100,000 spectators on the Sunday race day, watching the quickest race cars on the planet tear round one of the fastest circuits on the calendar. Make your day that much more memorable and exclusive by chartering a helicopter and flying directly into the circuit. Avoid the traffic jams and get to your trackside-seat in style. The only golf Major outside of the U.S., The Open is also considered one of the grandest, with its long history dating back to 1860. You’ll be flown within a whisker of this year’s course, Royal Portrush, one of the UK’s best links courses. On your way, you’ll get some spectacular views of the Irish coastline and the beautiful old course. Find out more about chartering a helicopter in 2019 – call 01664 823846. There’s nothing quite like flying a helicopter for the first time. Taking over the controls and getting a feel for how this incredible machine operates and moves through the air. If you’ve already experienced this thrill, perhaps during one of our trial lesson experiences, then you might have thought about taking this interest further and turning it into a passion. 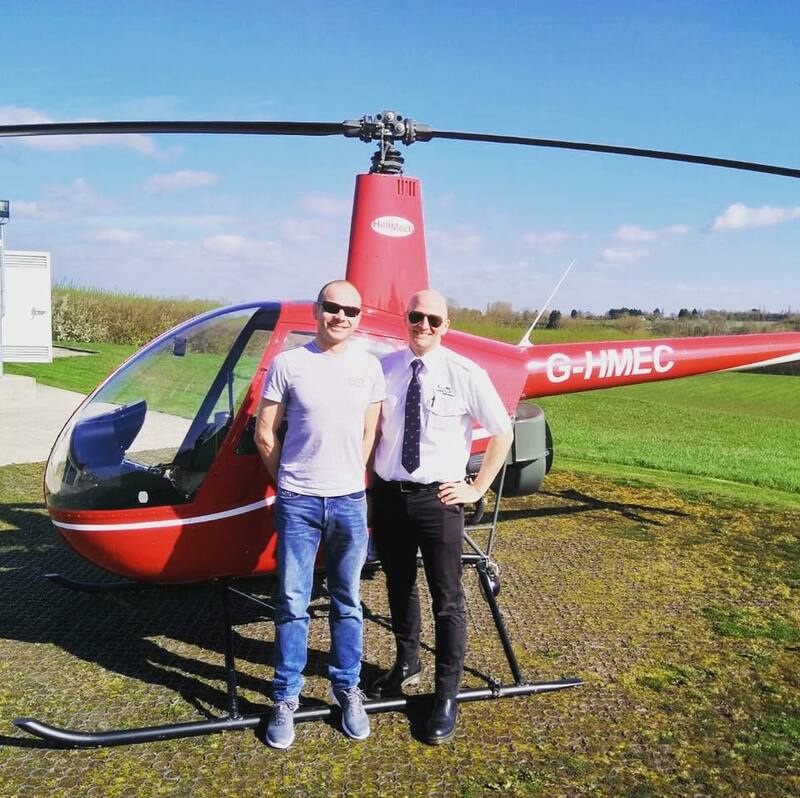 Many of the students training with us for their private pilot’s licence started in just the same way via our R22 and R44 helicopter trial lessons, which are the perfect introduction. Many caught the bug and never looked back, starting on the journey to mastering helicopter flying. 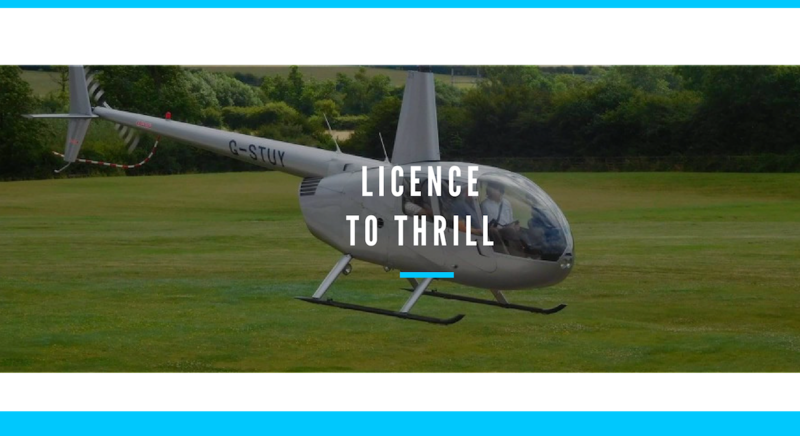 The PPL(H) licence is perhaps the most important helicopter licence as it equips you with all the key skills and knowledge along with the experience needed to fly independently. It also opens up a new, exciting world of possibilities. Fancy flying your friends and family away for an exhilarating day out in the UK or even Europe? With your own private helicopter licence, this possibility becomes a reality. And, if you need a little inspiration, well, here’s just a few of our students who are pursuing that very same dream by training for their PPL(H). 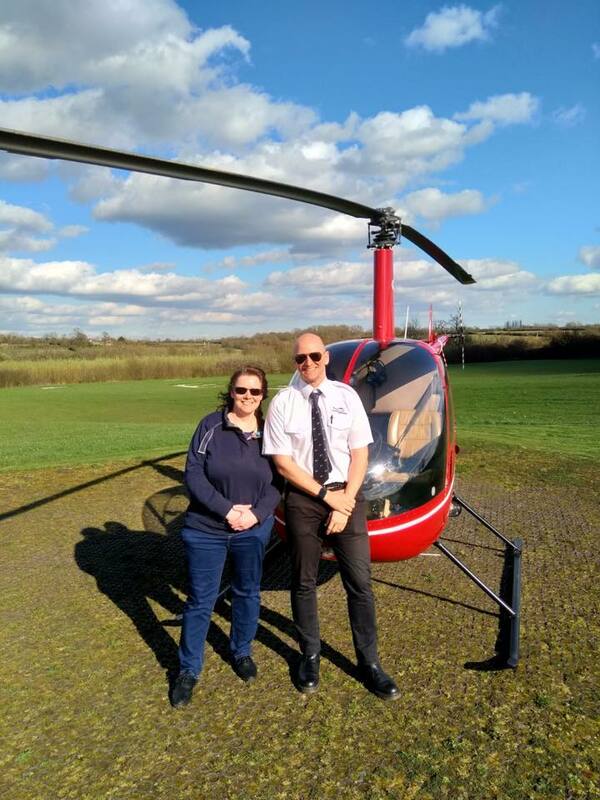 This includes Andy, who has completed his first circuit solo, a first solo hover for Jan, and a first solo navigation flight for Linda – just a few of the accomplishments that you’ll achieve on your journey to becoming a private pilot. There’s no better place than to experience a trial lesson or train for your PPL(H) licence than with Central Helicopters. Find out more and talk to our team on 01664 823 846. 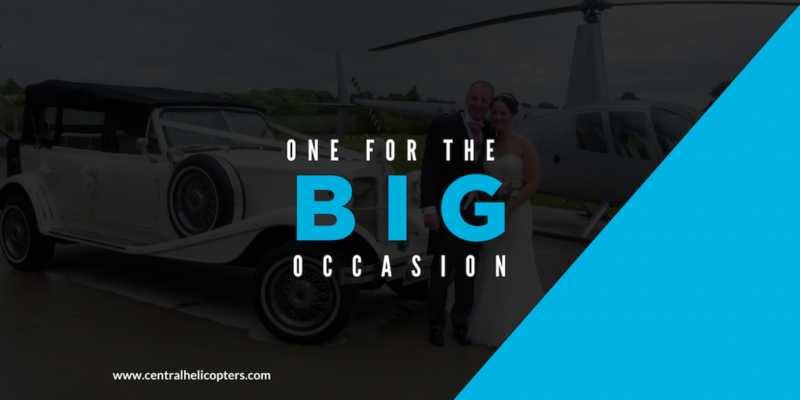 Here at Central Helicopters, based in Widmerpool, near Nottingham, we think a big occasion deserves a big experience. And, it just so happens so do our customers. Whether it’s being flown to their wedding receptions across the Midlands, being whisked away to celebrate a birthday, or marking a special anniversary in style with a private tour, we’ve been helping friends, family, and those special love birds, make the big occasion just that bit more special. A charter flight gives you the chance to take to the skies with exclusive hire of one of our helicopters. And, we make the experience bespoke, designed just for you. LWhy not join us? 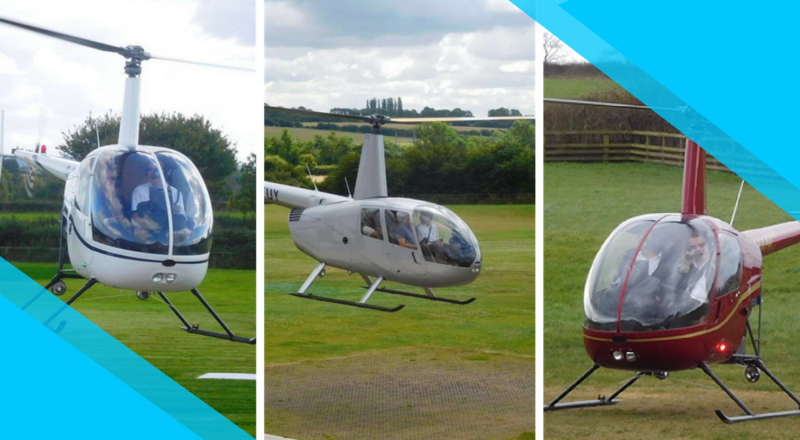 Read more at www.centralhelicopters.com and to book call 01664 823 846. Not sure what to get your family or closest friends for Christmas? Well, fear not, our helicopter flight gift vouchers are the perfect way to add some real wow factor! There has never been a better time to fly with Central Helicopters as we now offer more flight experiences than ever before, which depart from some of the UK’s best-loved locations. Plus, they are great value – our pleasure flights start at just £30pp with group discount! Whoever you deem lucky enough to receive one of our vouchers won’t have to wait long for take-off – we have pleasure flights departing in January and throughout the year. Below are a few ideas – for the full list, fly over to our website. See our full range of helicopter experiences, or for more information call 01664 823 846. Still not sure what to give this Christmas? How about a gift that’s going to excite and thrill your friends and family? Not only are our helicopter Christmas gift experiences unforgettable and guaranteed to add some real excitement and wow factor, but they are affordable, too, starting at just £30pp with a group discount. Take a look below to find one that suits your budget, then simply book online. 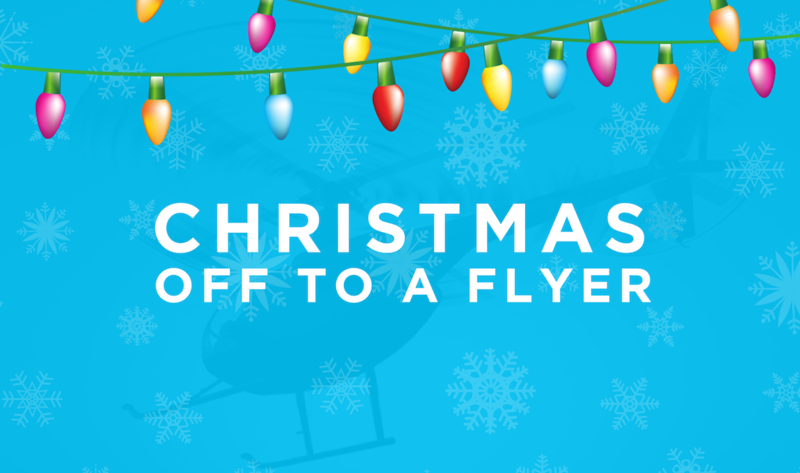 Still need some convincing about our helicopter Christmas gift experiences? Well, you don’t only have to take our word for it. Read about the experiences direct from our customers. We look forward to seeing you in the new year! It’s not something to be taken lightly… the final big test before pilots get their PPL(H) licence. Not that this thought seemed to stress Ollie and Chris ahead of the all-important helicopter PPL(H) Skills Test! It’s the moment that months of hard work leads up to. 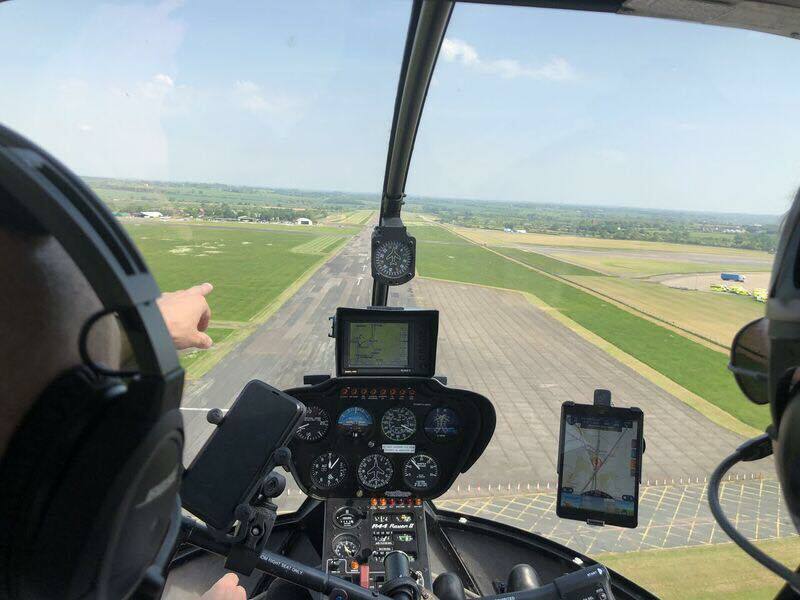 The chance to be put through your paces during a two-hour flight examination, which covers fundamental areas which are so crucial to flying a helicopter. 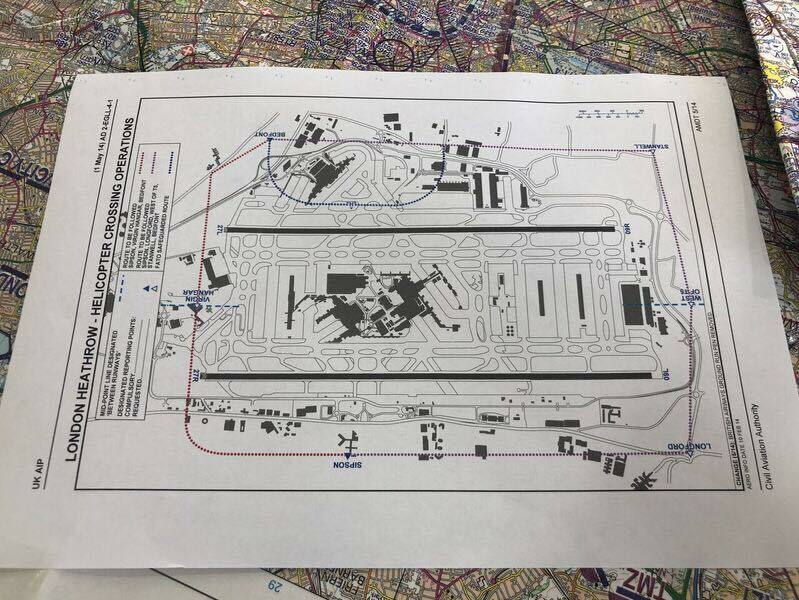 From the navigation section, which includes navigating using a variety of methods, such as an OS map and the 1:250,000 aviation chart, to instrument flying, to general handling, which includes autorotations and emergency procedures. We are delighted to say that Ollie and Chris came through this tough challenge. And, to mark the occasion, the traditional pilots jacket was soon off its hangar and presented to our high-flying students. 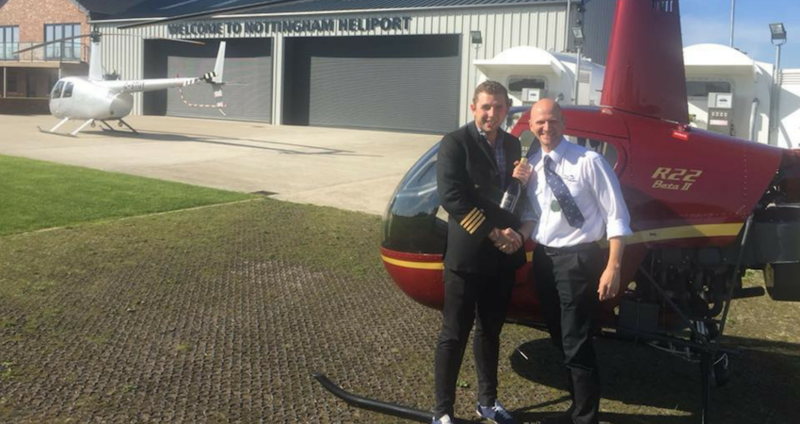 A big ‘well done’ from everyone at Central Helicopters. There’s no better place to train for your PPL(H) licence than with Central Helicopters. Find out more and talk to our team on 01664 823 846. Now for something completely different… how does the idea of flying a helicopter sound? Strapping into the pilot’s seat, lifting off, and actually flying yourself. That’s what our latest group of fearless thrill-seekers did at the Central Helicopters HQ in Widmerpool. Many hadn’t even been in a helicopter before, but that didn’t put off our flying aces undertaking a unique experience which they won’t be forgetting in a hurry. Sound appealing? There’s no better place to take your first steps into flying, and who knows where that might lead? Central Helicopters can take you as far as you want to go – we have got all levels of helicopter training covered. Find out more about trial lessons and training, or talk to our friendly team on 01664 823 846. 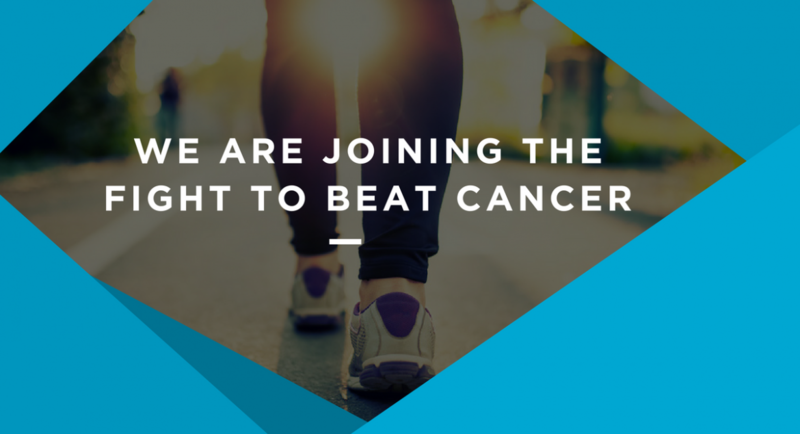 Central Helicopters team members will be putting their best feet forward in the fight against cancer, and they’d love your support. Ian and Marilyn will be lacing up their trainers and hitting the streets to raise valuable funds for Cancer Research UK by taking part in the Shine Night Walk Half Marathon in London on September 22. Having been personally affected by cancer herself, this is a cause and event particularly close to Finance Director Marilyn’s heart, as she explains: “Fortunately I have been lucky enough not to have had re-occurrences so far after being diagnosed with rectal cancer in 2015 and undergoing treatment and surgery. “We are hoping to raise as much as possible towards research in combatting cancer. I didn’t realise how many people and their families are affected until I was diagnosed myself. Your help would be very much appreciated! All the team at Central Helicopters would really value your support by making a donation to help fight this terrible disease which claims so many lives each year. Please visit Ian and Marilyn’s Giving Page. Learn more about the Shine Night Walk Half Marathon. We won’t pretend they are the most fun part of training, but PPL(H) ground exams are a vital component of the process, so there’s no getting away from them. The knowledge that you gain from studying for your PPL(H) ground exams will greatly enhance your overall understanding of flying, making you a better and safer pilot. Here at Central Helicopters we are approved by the CAA to offer the exams in-house, which is what we have been doing for 10-plus years. 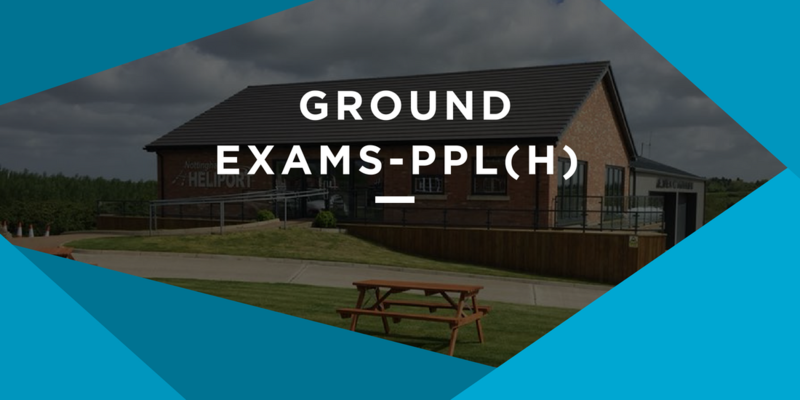 Our ground school programme is run by a team of instructors who are experienced in teaching all PPL(H) subjects. So, what are the subjects, and what’s covered in the exams? The PPL(H) exams are split into nine sections, and all the exams are multiple choice. The exams do vary though on number of questions, and overall exam time. You must complete and pass all required theoretical knowledge exams within 18 months, counted from the end of the calendar month in which you first attempted one of the required exams. If you fail an exam you will need to undertake further training at an ATO, and how much training you will have to take will be at their discretion. What do I need to score to pass the PPL(H) ground exams? The pass mark for each exam is 75%. What are they, and what’s covered? Aviation law is very important for any pilot, as it can be used in all types of aviation. The subject includes topics such as rules of the air, lights and signals, emergencies, legislation, airspace, and PPL Licence. This looks in detail at helicopter specific operating procedures, such as dynamic rollover, blade sailing and ground resonance, as well as airfield operating procedures such as signage and signal squares. Aircraft General Knowledge tests your basic understanding of the helicopter, and its components. Pilots are expected to understand the basics about an aircraft’s electrical, mechanical and hydraulic systems, as well its engine and instrumentation. Do you know how your helicopter is performing at all times through-out your flight? Performance and Planning includes assessments of weather and possible danger areas, but you’ll also need to perform specific calculations based on areas such as weights and balances, and navigation plots. Human factors, both physiological and psychological, influence all aspects of flying a helicopter. Pilots will need an understanding of specifics like illusions by day and night, as well as a broader knowledge of the body, such as the respiratory and nervous system. The Communications subject focuses on the theory behind using the aircraft’s radio. The Communications exam is the shortest, and considered one of the simplest. Expect questions on VHF (Very High Frequency) radio communications and radio telephony (RT) equipment. The weather can be an important factor when flying, so pilots must be capable of making informed decisions based on weather forecasts. Pilots should possess an excellent knowledge about weather theory, and be able to interpret weather briefing forms and documents. Pilots must understand the principles behind ‘flight’. The subject looks at why aircraft fly, lift, drag, helicopter rotor dynamics, as well as specific flight conditions. Pilots must be able to navigate the aircraft, so developing good navigational skills is essential. 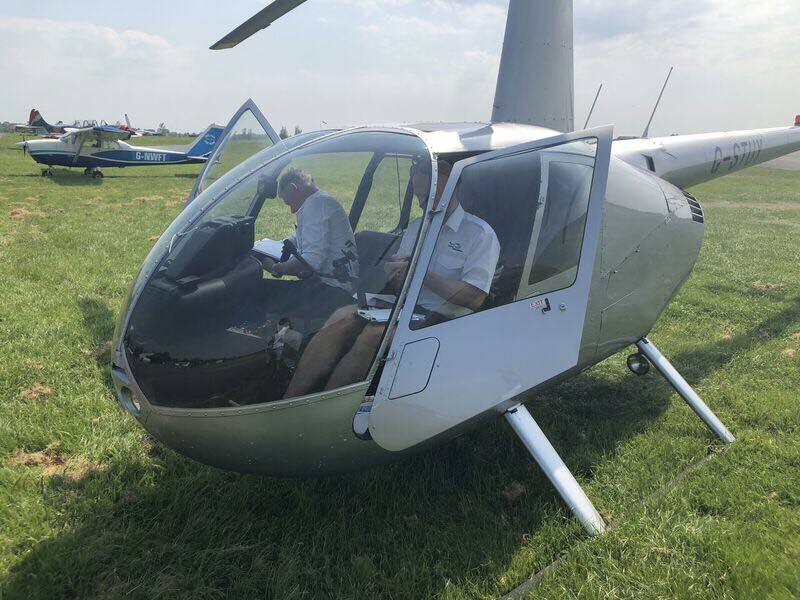 At an additional cost, our skilled, knowledgeable pilots can provide tuition either as part of a group, or one-on-one. For further details, call 01664 823846. Find out more about PPL(H) training. We’ve been developing pilots for more than 10 years, and many have gone on to have successful careers as pilots. Part of that success has been about taking a long-term approach to training pilots, not just giving you the basics so as to pass the next written or oral test, or knowing how to move the controls and perform manoeuvrers in flight. Training should help pilots to perform and thrive in a whole range of real-life flying situations and scenarios. 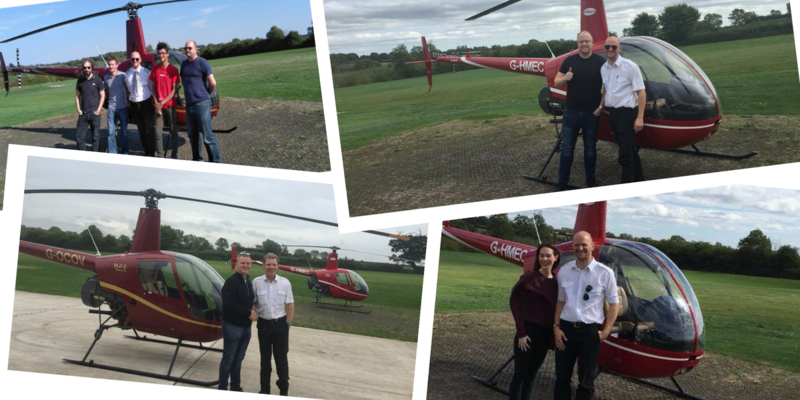 Giving pilots the chance to fly in different environments is a unique learning opportunity, and one of the reasons we developed our helicopter training away days programme. 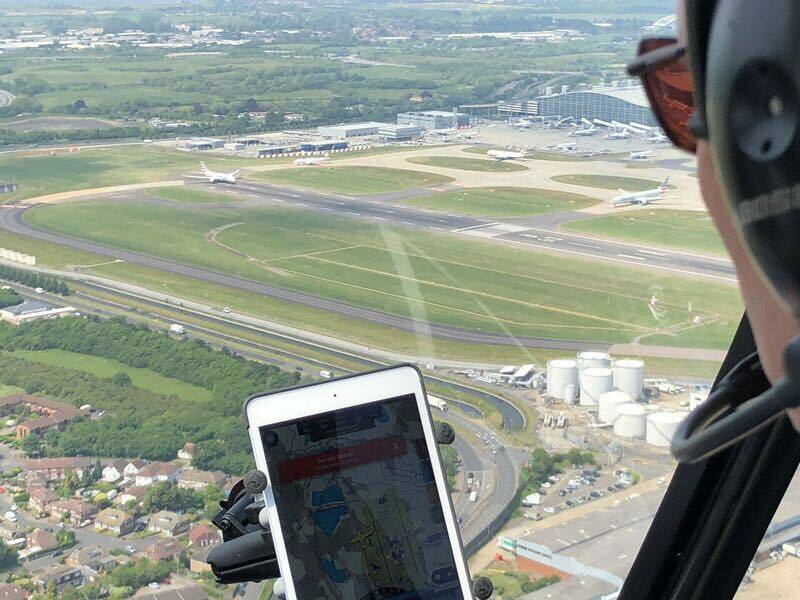 Our most recent helicopter training away days lesson took pilots to London to fly in one of the busiest airspaces in Europe. 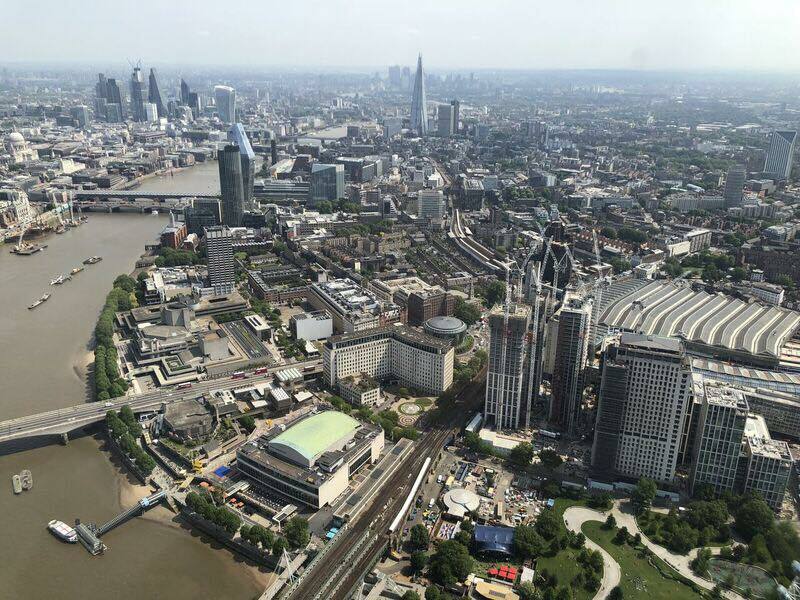 What are the London heli-lanes? 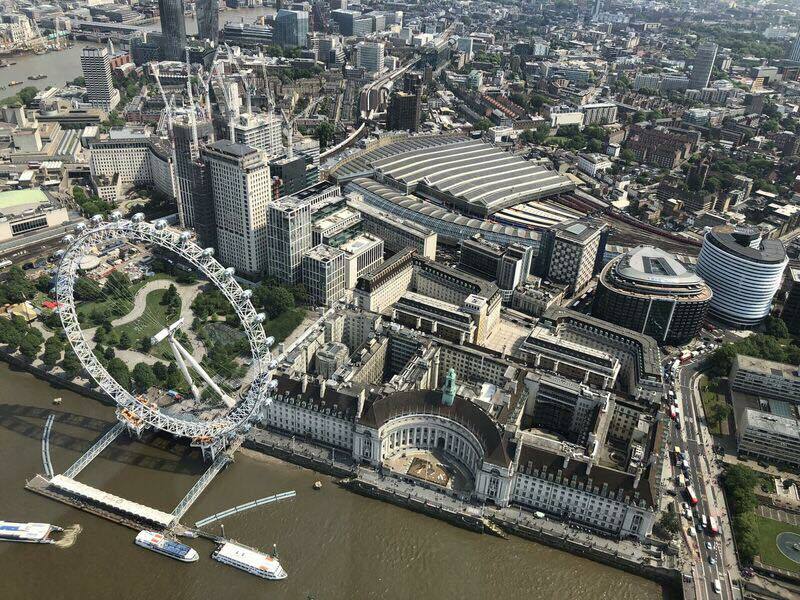 There are strict regulations about helicopters flying in London, particularly single engined helicopters. 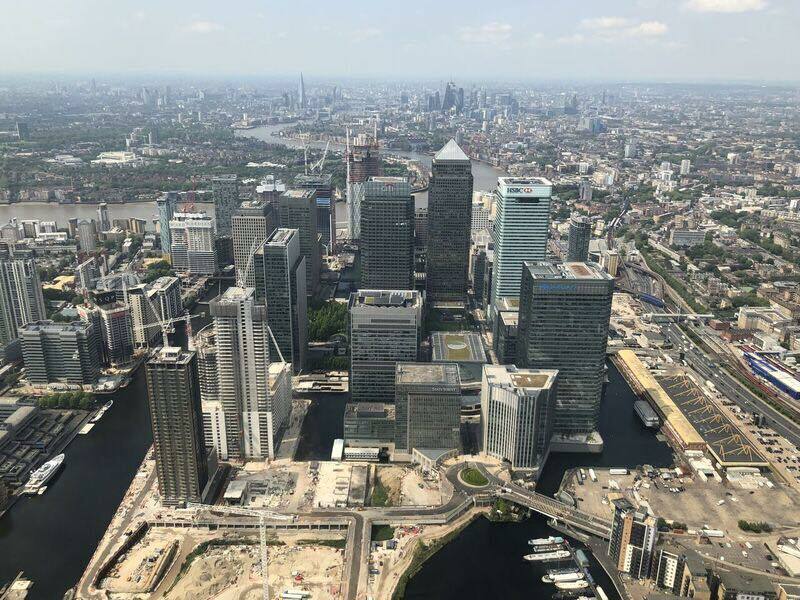 So, specially designed routes, known as heli-lanes, provide extra safety by avoiding flying over built up areas as much as possible, and for this reason, the routes mainly follow the River Thames. The routes do still allow pilots to fly right through the heart of the city however, providing some spectacular views of the sights. 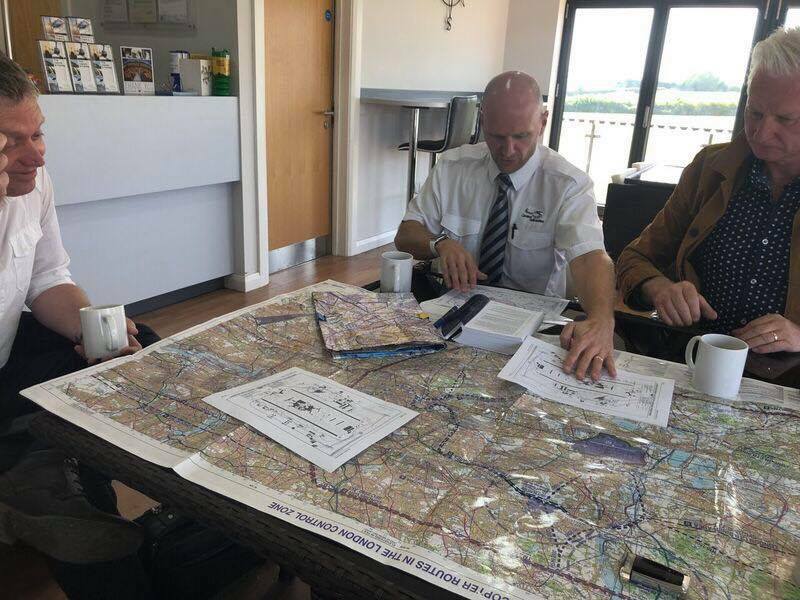 The day begins with breakfast at Central Helicopters’ HQ, Nottingham Heliport, with extensive pre-flight planning and safety briefing, before heading to the capital. The day includes navigating one of the world’s busiest airports. 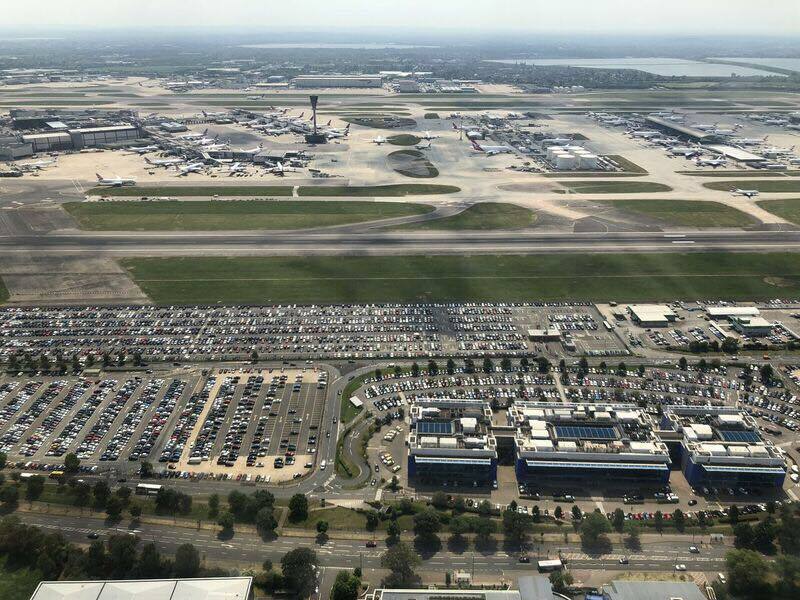 Heathrow sees around 1,400 planes take off and land daily, that’s one every 45 seconds. And two land aways at North Weald Airfield, situated north of London, as well as lunch at Denham Airfield, north west of the city. 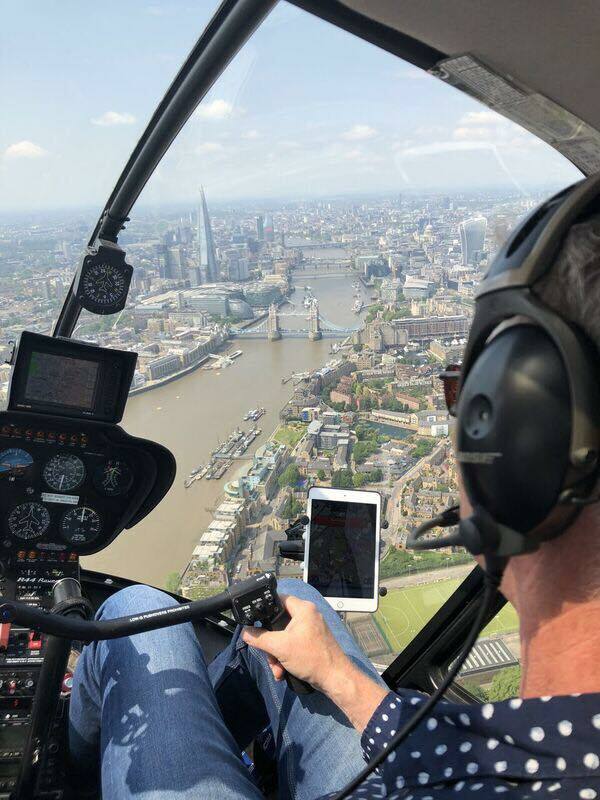 Perhaps the most memorable part of the day is navigating the heli-lanes which take our students along the Thames passing landmarks such as the London Eye, the Shard, Olympic Stadium, and Canary Wharf. 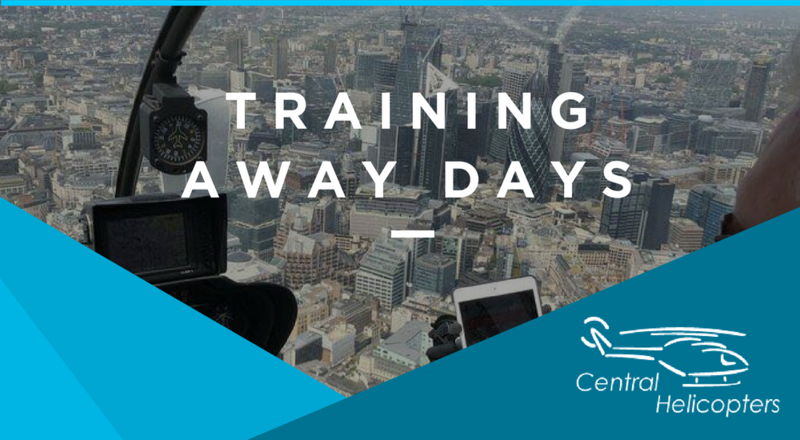 If you are interested in increasing your flying experience and knowledge, and are a current PPL(H) holder or training towards your licence, contact the Central Helicopters team on 01664 823846 for further information about our helicopter training away days. Our standard day package includes breakfast, full pre-flight planning and briefing, land-aways at two airfields, and lunch. Learn more about Central Helicopters’ helicopter training. Becoming a helicopter pilot, and perhaps even qualifying as a commercial pilot, is an exciting yet difficult challenge. 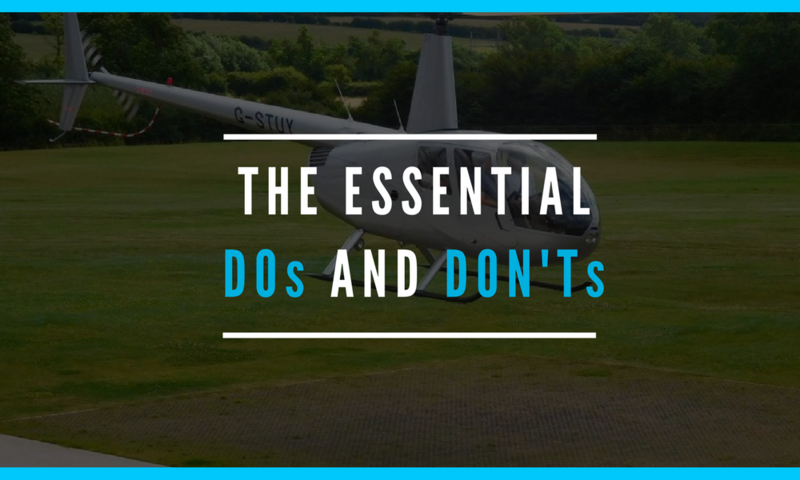 We tell you this not to discourage you from starting out flying, but rather to stress that accessing the best training possible is essential to success and getting an advantage, particularly if you wish to earn a living as a pilot. The quality of your training will be, quite simply, determined by your helicopter training school. Here is the first of a series of helicopter training articles aimed at helping you make a better informed decision. Whether you are just starting out, or already have plenty of flying hours under your belt, the tips below on how to choose the right helicopter training school could prove invaluable. DON’T choose a training school that promises you will walk into a job as soon as you have attained the minimum number of flying hours. 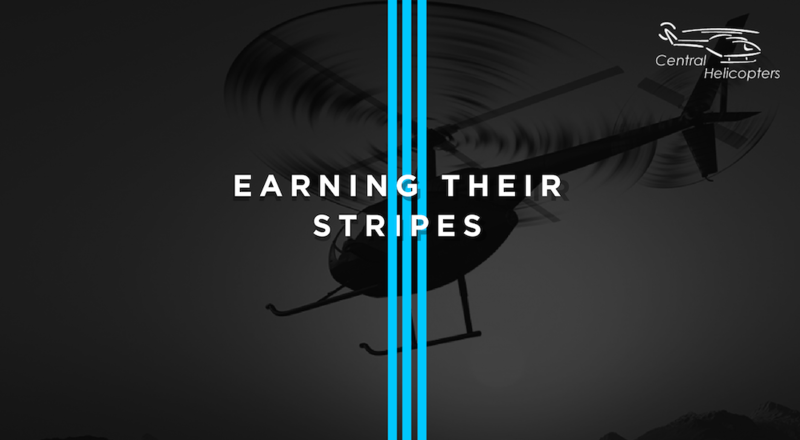 There are plenty of opportunities to earn a living by flying a helicopter, but equally the industry is competitive, so finding a job isn’t guaranteed. DO choose a training school which has quality facilities. 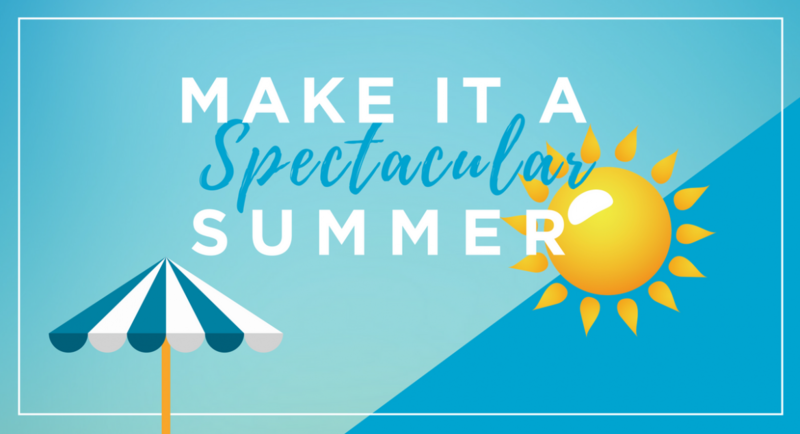 You’ll potentially be investing a lot of time in your chosen school, where at times you’ll also want to relax in comfortable surroundings, as well as have access to top-notch learning equipment for those all-important theory exams. DON’T choose a training school that promises you a flight instructor job with them after completion of your training. Flight training schools can’t offer jobs to all of their graduates, if they did, they would have more instructors than pilots. Central Helicopters only gives jobs to the very best pilots, after all, who else would you want training you? DO choose a training school which has the experience of developing students who have consistently gone on to begin successful careers in the aviation industry. DON’T choose a training school which has poorly maintained aircraft. Does the school have capable mechanics and seasoned, professional ground crew? DON’T choose a training school which is too big to give you the time and attention you will need to achieve your pilot licences, and one too small to have adequate resources and the staff to support you. 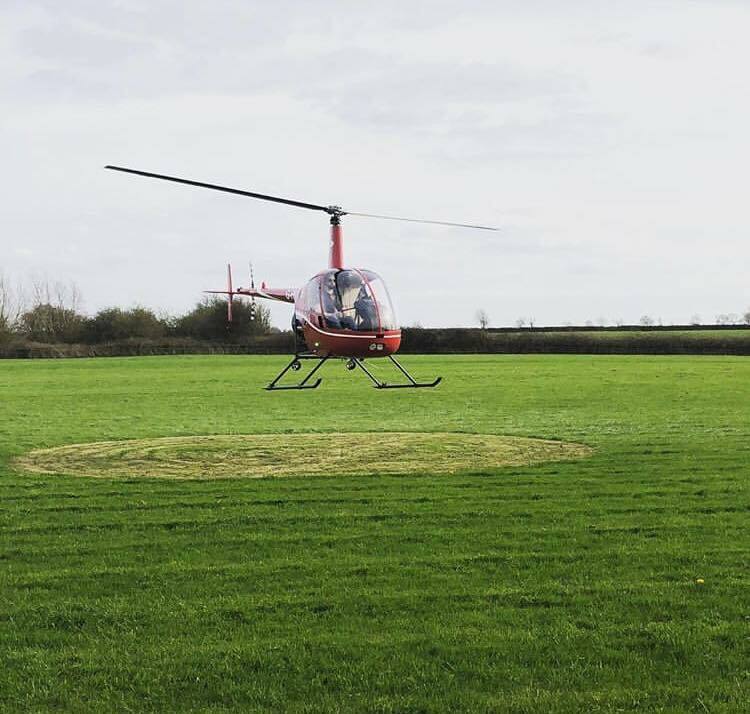 During more than ten years, our family-run helicopter business has successfully trained hundreds of student pilots – and during this time, we’ve also been busy developing our Widmerpool heliport, which is now a state-of-the-art training facility. We take an open, honest approach to training students. We don’t make wild promises, instead preferring realistic, open advice. Our friendly, knowledgeable team is here to guide you in the right direction, starting the very first moment you come and see us. 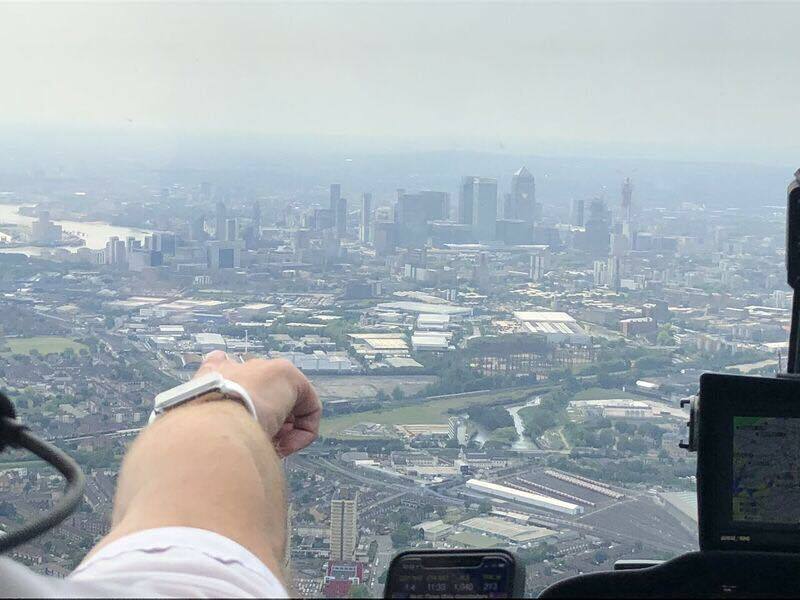 Why not visit our heliport for a look around, an informal chat, and the chance to learn more about how you can begin taking your first steps to becoming a commercial helicopter pilot? Learn more about our flight training, or call us on 01664 823846. 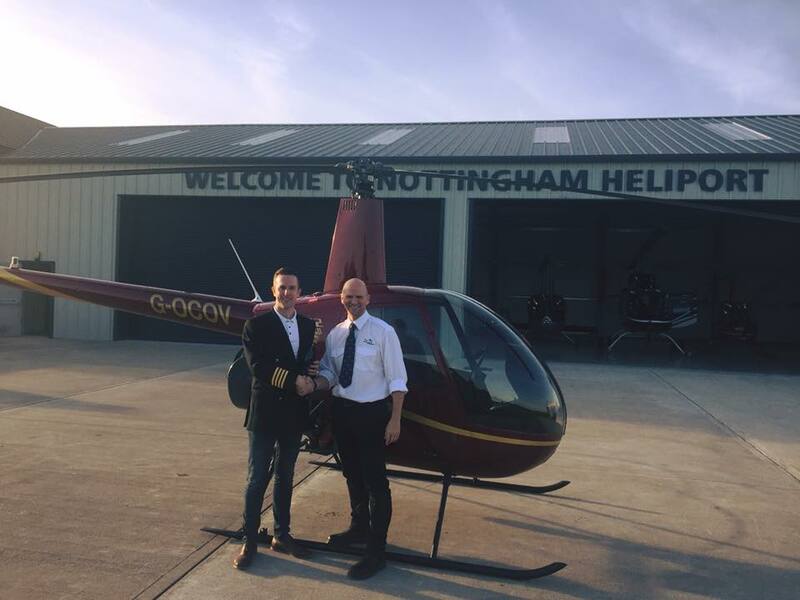 To read more about our state-of-the-art heliport, go to www.nottinghamheliport.co.uk. We hope you benefit from our guide on how to choose the right helicopter training school, and look out for our next helicopter training article.